When your child has a medical emergency, we know you want the best pediatric care—and fast. CHOC Children’s has two pediatric emergency departments in Orange County for your convenience. Both locations have pediatric-trained staff and pediatric specialists, so you can have peace of mind, and child life specialists at the bedside, so your child will feel at ease, too. Please call 911 immediately if your child needs immediate medical attention and you cannot safely transport your child to the hospital. The CHOC ED in Orange is a 22,000-square-foot, full-service emergency department exclusively dedicated to treating kids. CHOC Children’s partners with the Mission Hospital emergency department to provide pediatric services and expertise for families in South Orange County. Why is a pediatric emergency department different? Children are not tiny adults and have very specific healthcare needs. From the equipment to the physicians to the staff, our pediatric emergency departments are designed to meet the needs of children of all ages. We offer the assistance of a child life specialist, and special tricks and medical interventions to make emergency visits less painful. What is child life? We believe in patient- and family-centered care. That means whenever we are treating a child, his or her feelings, emotions and future well-being are a top priority. It also means family members may stay with the child at all times while in the ED and help make decisions regarding the child’s care and treatment along the way. The Julia and George Argyros Emergency Department at CHOC Children’s is exclusively dedicated to the treatment of pediatric patients. Our 22,000‐square‐foot, full‐service emergency department is designed to meet the unique needs of children. Our doctors, board‐certified in emergency medicine, and specially trained nurses provide the very best patient‐ and family‐centered care 24 hours a day, seven days a week. Most parents, at some time, will face the decision of whether to bring their child to the emergency department (ED). It can be a scary and confusing situation for children and parents alike, but this list of frequently asked questions about ED visits might help settle confusion. 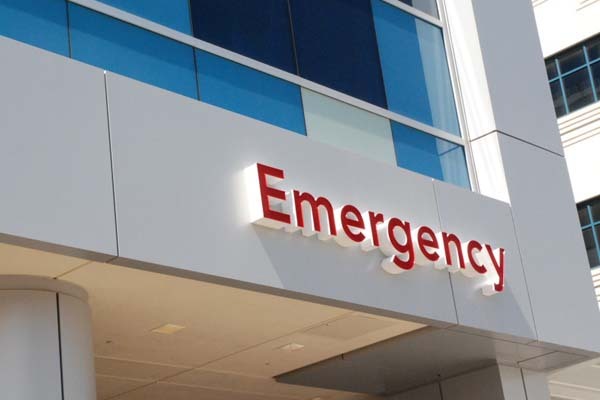 How do I know if I should take my child to the emergency department? Knowing when a child’s condition reaches a level in which it needs emergency care can be difficult. After all, children are not small adults. They might display different symptoms than adults, and some symptoms that aren’t serious for an adult can be very serious – even dangerous – for children. Staff members at CHOC advise parents to follow their parental instincts. The emergency department treats a variety of ailments, big and small, from broken bones to small abrasions to headaches. No matter is too small, and no patient is turned away. Whether or not the child needs treatment, parents will leave the ED with reassurance and education. Learn more in this CHOC Radio podcast: When do I take my child to the emergency department? Can parents direct an ambulance to a particular emergency department? For any parent, the notion of rushing a child to an Emergency Department in an ambulance is terrifying. In a critical situation, parents want to get their child help as soon as possible at the closest facility possible. But should the right circumstances occur, parents can request which emergency department the ambulance will visit. Transport teams will honor the request to the best of their ability. If the child is suffering from critical illness or injury that requires absolute immediate attention, the medic team will take the child to the closest emergency department or trauma center. I have an HMO. Do I need to go to my health care home for emergency services, or can I come to CHOC? CHOC Children’s does not require approval from a patient’s health care provider to offer care at the emergency department. However, families should consult with their insurance provider for more specific information regarding coverage specifics. How long will my Emergency Department visit take? 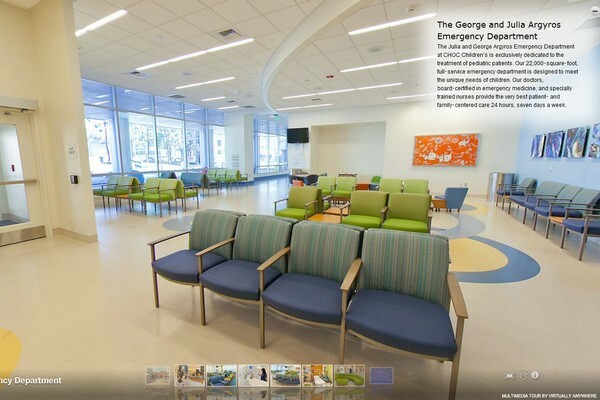 The emergency department is designed for fast triage, quick diagnosis and speedy treatment to streamline each visit, but it is difficult to estimate how long a visit will take. Many things factor into the length of a visit, including the type and severity of the child’s ailment, as well as the other patients visiting the ED that day. Patients are generally seen in the order of their arrival, but children with serious illnesses or injuries may be seen first. In this case, you might notice patients who arrived after you being called ahead of you. Also, the ED physician who is treating your patient might be interrupted to respond to a sudden, critical emergency. Please remain patient and calm during your visit. Know that the comfort of you and the child are a top concern for all ED staff, and they are working hard to provide quality, efficient care to all patients they are privileged to serve. “Triage” describes the process wherein a nurse assesses your child’s condition to determine what type of care he or she will need – and how quickly. Triage occurs after screening and initial registration. If there are rooms open, the child will be immediately taken to an exam room. If all rooms are full, the emergency department has triage rooms, where a nurse will ask questions, collect vital information such as temperature, pulse and weight, and perform a basic exam. Will I be able to stay with my child? Yes. There’s no need to worry about being away from your child at CHOC. Should I bring siblings to the ED? We are committed to making the entire family part of all decisions and treatments provided whenever possible. We even provide larger-than-average exam rooms in order to accommodate family members, siblings and strollers. It is important to know, however, that there may be times that only parents will be allowed with the patient due to the urgency of care needs or in the case of certain tests, like X-rays. In general, parents should use good judgment when bringing siblings to the emergency department. A visit can be a long process, and small children might grow inpatient. It is also important for parents to be able to focus on their ill child, as they will be given a lot of information and will be asked many questions by our staff. When children arrive at the hospital, they are often crying, nervous or anxious because of the pain or symptoms they are experiencing and the fear of what will happen once they are being treated. The child life specialists in our emergency department help make the experience less stressful and frightening. Child life specialists work with children to make them less nervous or anxious and better able to understand and feel comfortable with the hospital experience. To do this, they use special play techniques that help patients feel more comfortable with the hospital environment. Movies, video games and activities like blowing bubbles or coloring might just look like fun, but in the hospital they keep children distracted and help ease their worries. Another important role of our child life specialists is helping patients understand how the medical team assists them during their visit. They have special teaching tools for every procedure or test that might be needed. Books, practice dolls, pictures and play medical equipment also help patients understand and prepare for their care. During procedures children can watch a movie on a tablet, play a game or engage in other fun activities. Child life specialists are a very important part of what makes CHOC one of the most unique hospital experiences in California.